For a concentrated dose of local culture, you can’t do much better than heading to a Japanese festival. With a vast assortment taking place all throughout the year, local festivals offer a window into the country’s history, folklore, and—rather importantly, in my opinion—food. 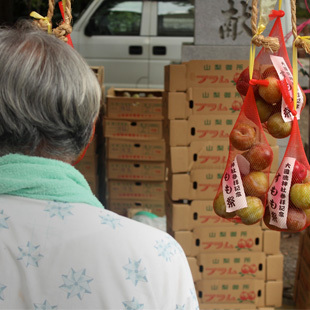 Each year on July 20, the Japanese plum gets its moment in the spotlight. 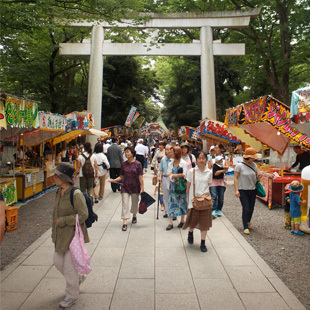 The Sumomo Matsuri (Plum Festival) is held annually at Ōkunitama Shrine in Fuchū City, easily accessible from central Tokyo via either the Keio or Musashino Lines. Despite being only an hour’s ride from the city center, it feels like a world away. The sound of chirping cicadas greets you immediately upon exiting the train station, a soothing soundtrack that fits nicely with the festival’s rural origin story. The legend goes something like this: 11th-century Japanese Imperial clan leader Minamoto no Yoriyoshi and his son stopped at Ōkunitama Shrine to ask the gods to grant them victory in battle. 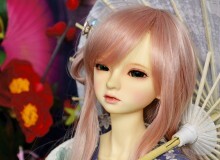 In order to sweeten the deal and win some celestial favor, Minamoto presented a plum as an offering. When the Imperial forces subsequently trounced their adversaries—turns out the gods like stone fruit—the Sumomo Festival was born. Eating the namesake fruit on the day of the festival is said to keep away both sickness and evil spirits. Luckily, there’s plenty of plums on offer. The path to Ōkunitama Shrine is lined with a variety of food vendors, but plums occupy the bulk of the laneway. Sold individually or in bright mesh bags, the delicious summer fruit comes in more colors, sizes, and varieties than you might expect, including earthy olive green, bright orange or red, and the more recognizable rich maroon. 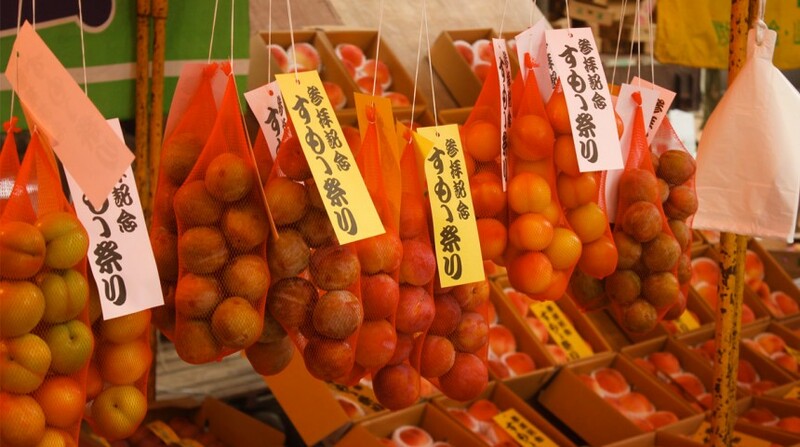 A batch of plums only sets you back ¥1,000, a rather paltry sum to keep your ghostly foes at bay. 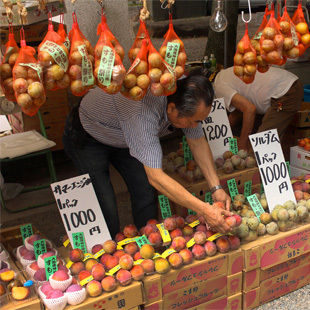 If you’re willing to shell out more a few more bills, you might do well consider the giant, rose-colored plums going for a hefty ¥3,500 each. It ain’t cheap, but can you really put a price on supernatural safety? Once you’ve stocked up on fruit, it might be time for a heartier snack. With around 120 stalls lining the path to the temple, there’s something for every appetite—especially those that like their food yaki style (grilled or fried). Dorayaki, takoyaki, Nozawana-oyaki, okonomiyaki, yakisoba … there’s lots of greasy goodness up for grabs. And at only a few hundred yen each, you don’t have to choose just one. Remember, though: these starchy foods are filling, so best arrive hungry for optimal satiation. Food aside, the Sumomo Matsuri has plenty more great things to do and see. Inside the grounds of the shrine itself, visitors can pick up omamori (a kind of protective talisman) embroidered with images of crows. Besides plums, these menacing black birds are the secondary focus of the festival. Legend says these special ornaments are ideal for keeping pests away from crops and help ensure a good harvest. If that’s not presently a concern, they’re still worth your consideration, and their beautiful designs make them great souvenirs. The real prize, though, is the Sumomo Festival’s famous crow fans. While deluxe sensu (folding fans) are available for a hefty ¥5,000, a mere ¥500 will get you an uchiwa (flat fan) that not only keeps your fields bug-free, but will also help you beat the heat on stuffy summer train rides. The tiny fan shop boasts the longest queue of the festival, and its beautiful fans are only available in limited quantities, so make sure to arrive before noon if you want to guarantee getting one of your own. Sale starts at 6am, and once they’re gone, they’re gone! 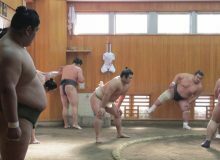 Festivals like this are a great way to get a little fresh air, enjoy a change of pace, and celebrate Japan’s storied cultural history. Nestled among tall, leafy trees and only five minutes from Fuchu and Fuchu-Honmachi Stations, Ōkunitama Shrine’s Sumomo Festival is a great way to escape the city and try something new. Promising delicious food, good fortune, and mystical fruit, it’s hard to imagine a better way to spend a summer afternoon. 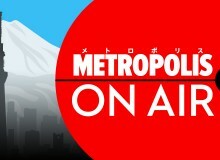 For more information on next year’s event visit, www.ookunitamajinja.or.jp/matsuri/7-sumomo.php.